Hi, I'm Julian. I'm a landscape photographer from Dutchess County, New York, in the heart of the Hudson Valley. I take pictures of things I find beautiful, unique, or otherwise worthy of documentation. The Hudson Valley is home to roaring waterfalls, craggy peaks, serene lakes, countless historic sites, marvelous bridges and highways, and one awesome river running through it all. I'll never be able to capture everything, but I try get a little closer each day. I also spend time exploring and photographing the neighboring New England states. My self-taught technique has been shaped by a number of artistic influences: the treatment of light by the 19th century Hudson River School painters; the bold compositions of great American West landscape photographers, like Adams, Muench, and Mangelsen; and my creative peers with whom I trade ideas and inspiration each day. My prints adorn homes and businesses throughout the Hudson Valley and beyond. In 2018, my photo, Nighttime on Rudd Pond, was selected to represent New York State in the Appalachian Trail Conservancy's highly publicized "United by the Appalachian Trail" photo exhibit on Capitol Hill. 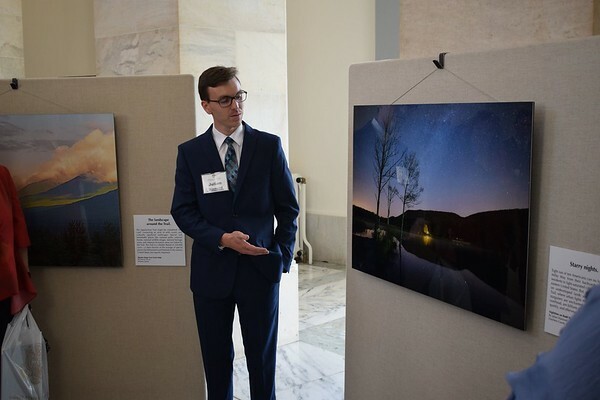 Through this exhibition and my ongoing collaboration with the ATC, I've been working to raise awareness of conservation efforts along the trail's corridor, including one issue in particular that's dear to me – fighting light pollution to preserve dark skies. Please take a look around and see the Northeastern landscape through my eyes. All of the photos in my online galleries are available to purchase in a variety of fine-art formats. For details, please see the "Ordering" tab or reach out via the "Contact" form. Thank you!